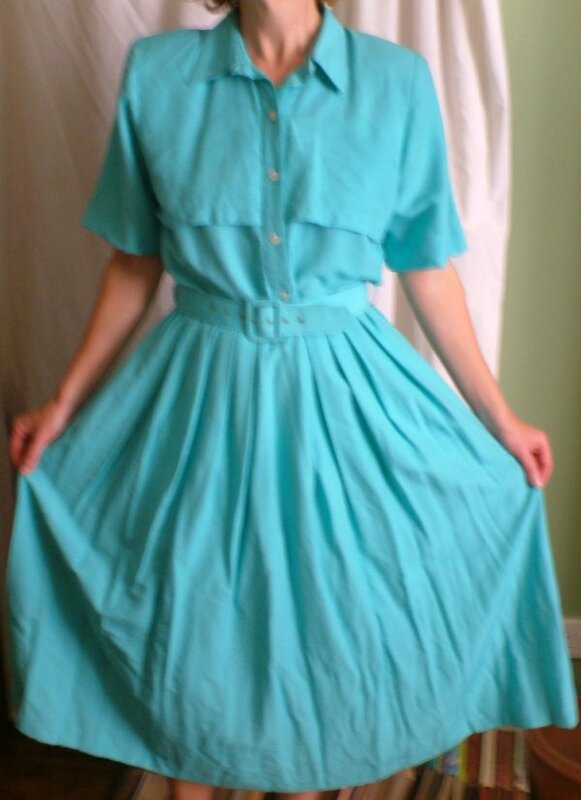 Vintage 1950s/60s turquoise full skirt dress with belt. Made in a nice, heavy cotton, this truly is a dress for everyday! It's a traditional shirt-waister, with extra detail at the bust (I'm sure there's a name for this, but I don't know it...still, you get the idea from the pictures), a self belt and sensible pockets. 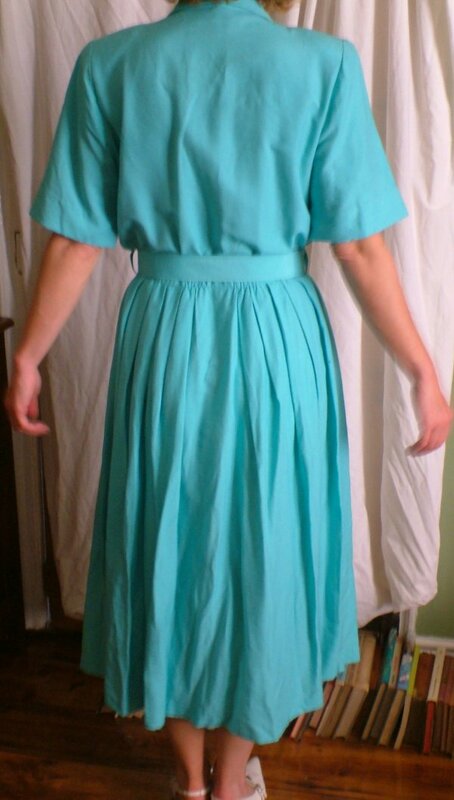 It has a neat collar, elasticated waist, and full skirt (see measurements, below). The shoulders are padded (removable) and the skirt falls to mid calf. 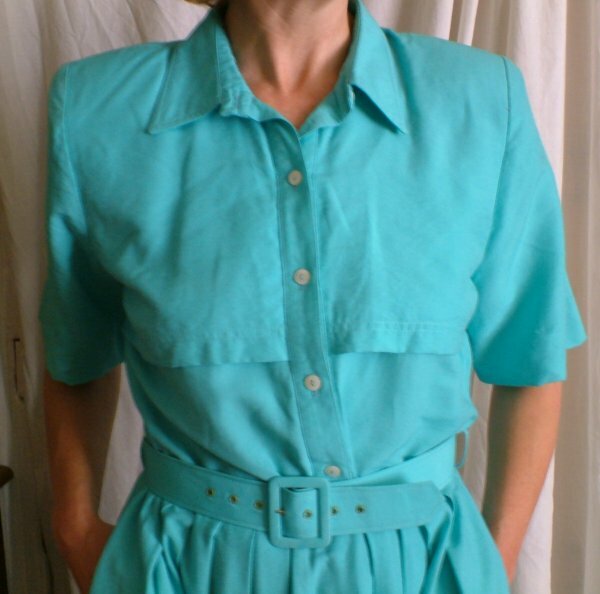 The sleeves fall flatteringly to just above the elbow; in fact, this is the ideal dress to cover any problem body-bits, and in a beautiful clear blue/turquoise that enhances the slightest suntan.